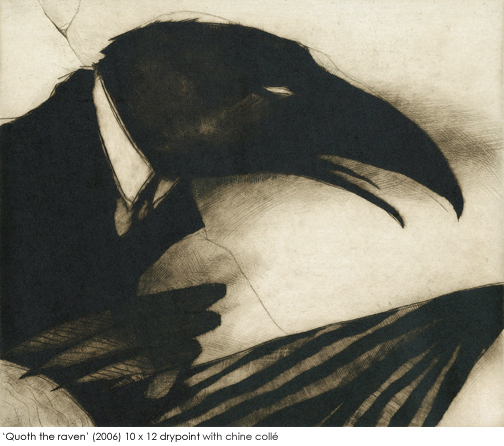 Ryan Price's exquisitely grim illustrations for The Raven suggest a background story shaped by the narrator's guilt, embodied in the terrifying figure of the raven. 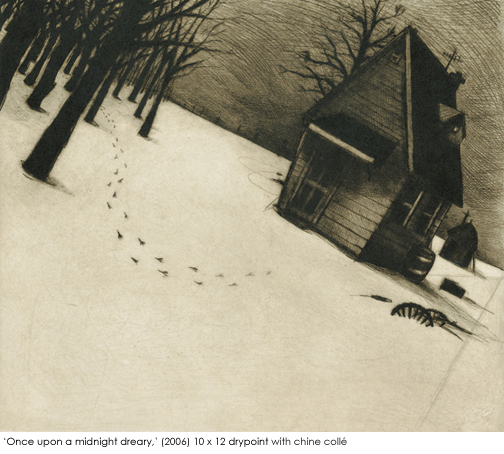 Price's drypoint technique, with its rich blacks and feathery lines, perfectly captures the nightmarish atmosphere of this unforgettable poem. 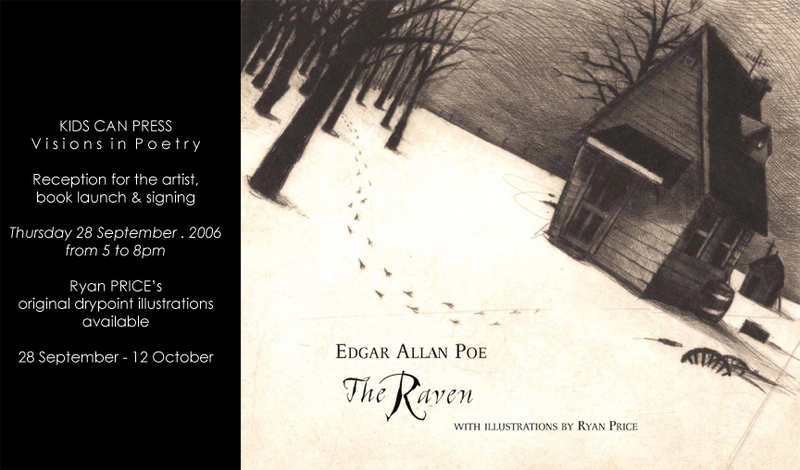 Originally published in 1845, The Raven is narrated by a melancholy scholar brooding over Lenore, a woman he loved who is now lost to him. 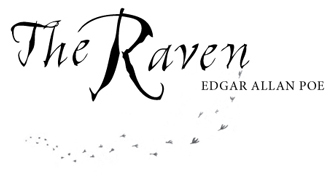 One bleak December at midnight, a raven with fiery eyes visits the scholar and perches above his chamber door. 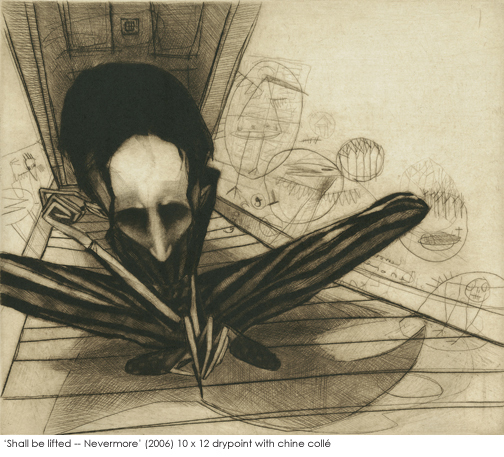 Struggling to understand the meaning of the world his winged visitant repeats - "Nevermore!" 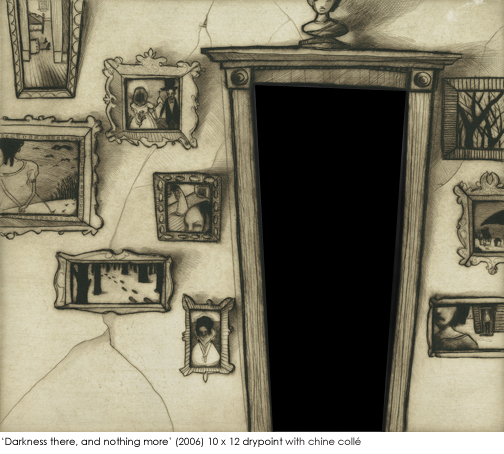 - the narrator descends by stages into madness.